Bandon-By-The-Sea : Update on the Re-Wiring Project . . .
Update on the Re-Wiring Project . . .
Oh, man!! 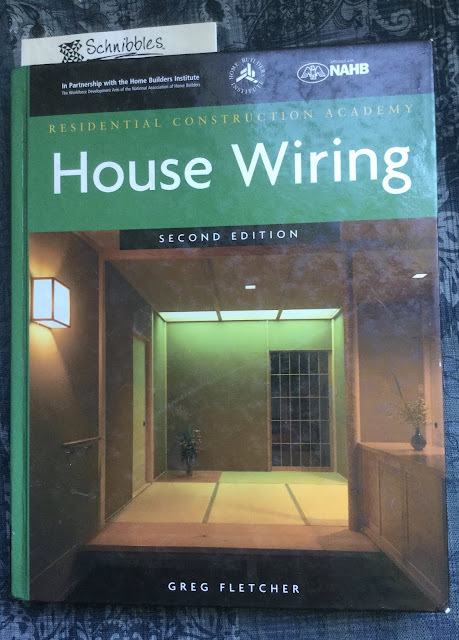 Ok, so if you have been following my blog, you might remember that the original electrician started the re-wiring on our house on January 3, 2018. By the middle of May he was no where near even getting to the rough-in inspection, so I fired him. On the same day I fired him I found out he was put in jail for 30 days on some old and reoccuring environmental problems he has on his own property. So, I asked around and finally settled on a new electrician. I set up a date for him to come look at our project (a week after our phone conversation) the end of May and on the day he was to come out, he didn't come out or call or text or whatever!! Whew! But I finally got a hold of him by text the next day and he said he could be here around noon. Now we knew when we originally spoke with Lloyd on the phone that he would not be able to start until August or September and we were okay with that as long as it could be done before it got cold again. Long story short, he came out said he would give us a bid (which included not using much of the previous guy's work, having us put all the stuff in the house into PODS and possibly us moving out for the 2 weeks it would take to complete plus at a higher price than the first guy) and if we accepted it he could start in late August, early September. Next thing I know I get an email from him a week or so later and said he got the school district bid (that he told us about when he came out to look at the job) and that he could not do our job at all!! WHAT???? Just another flaky contractor!! This little area along these beach towns have a lot of flaky contractors!! So, I guess I really shouldn't be too surprised!! Bottom line: Kelly and I are going to do it ourselves!! Oh, lucky you!! If I knew anything about wiring I would come and help you. Why can't there be a good, honest electrician that is willing to work with you and do the job for a fair price in a reasonable amount of time? I know we had trouble getting an electrician when we were finishing our house, but we finally lucked out. Wish you could. But I believe you and Kelly can do anything, Kris! Good Luck you guys! You two amaze me! Can't wait to see your progress.